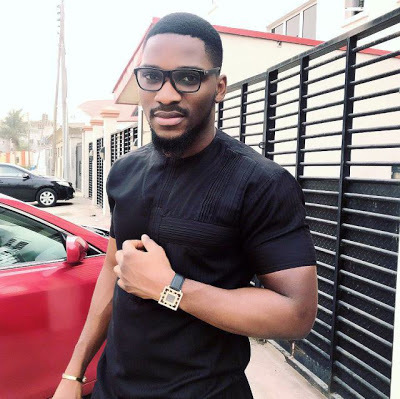 Popular Big Brother Naija 2018 housemate, Tobi Bakre has revealed he earned a meagre sum of money during his time in the banking sector. The 23-year old University of Lagos graduate and former Heritage Bank employee, Tobi has revealed life was unpromising while he worked at the new generation financial institution. According to him, he was earning a sum of N130,000 per month and the amount was insufficient for his upkeep. This he revealed during an afternoon parley with fellow housemates, Miracle, Teddy A, Alex and Cee-C.
" I was earning 130k at the bank. At a point, I got bored doing the samething everyday. But my bosses were really nice to me. I was always being given gifts by my superiors" he stated. He explained that he believes he has more potentials and this prompted him to apply for the Big Brother Naija contest where he has emerged as one of the favourite housemates. Tobi didn't fail to mention that he wasn't promoted for 4 years despite emerging as the best new staff at the bank at some point.